This understated, incomplex candle holder would be right at home in any rustic, beachy abode. 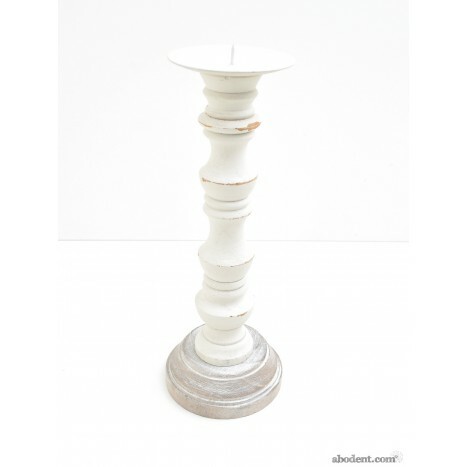 Tags: white shabby chic wooden candlestick, turned candle stick, beach candle stick, shabby chic candle. Returning goods to us is extremly easy. Please view our returns process here. © 2016 abodent.com. All Rights Reserved.